I didn’t grow up playing sports with my dad. 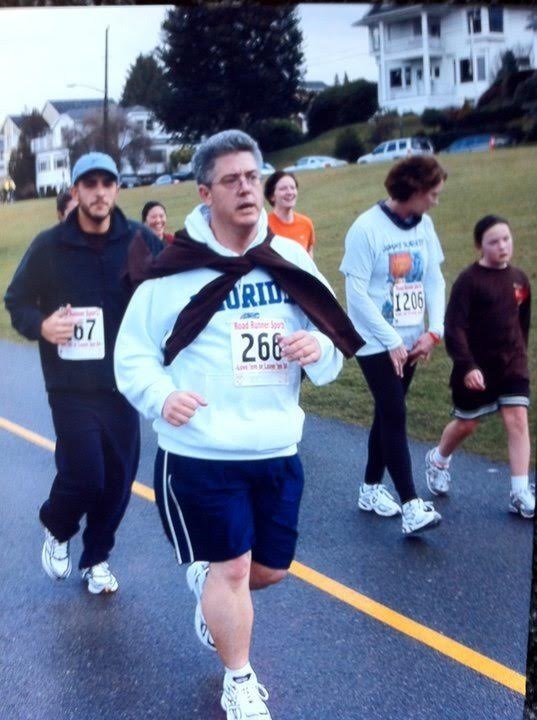 Over the years, I played some sports and my dad was super supportive, but he was also pretty out of shape and didn’t really partake. Even though we didn’t play sports together, he helped me learn how to ride when I was young. I don’t remember a lot as a child but that moment my dad pushed me into independence as he let go of my seat, is something I’ll never forget. It felt like true freedom and pure terror and the same time. Some time around my mid twenties, my dad started working out and lost a ton of weight. 100 pounds to be exact. We ran our first 5k together at Greenlake and quickly formed habits around being active together. That following Christmas, my wife and I got him a gift card to REI to put towards the purchase of a bike. He made the purchase and was hooked. 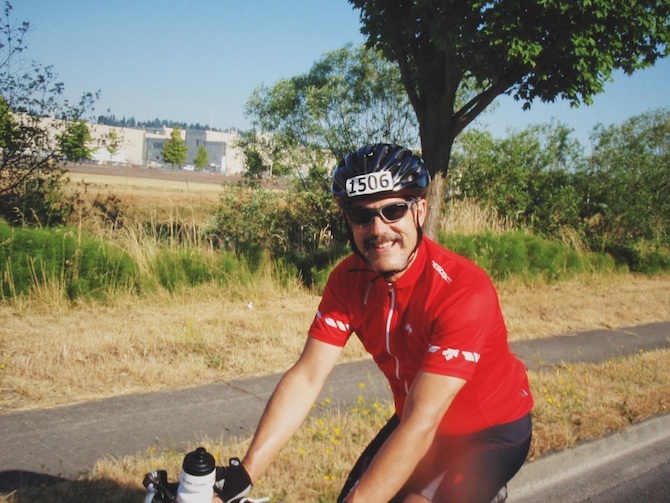 We’ve biked the Seattle to Portland, the Chuckanut, the Kitsap Classic and tons of other local rides. 50+ mile weekend rides were a regular thing and the time we spent together was priceless. My brother also became part of the pack and we developed a family bond like we’d never had before. Now my dad loves cycling. He used it as an excuse to travel all the way to France and ride part of the Tour de France! It’s helped him stay fit and see the world with a more watchful eye. Also, our family has battled heart disease and diabetes so it’s a great way to keep that at bay. 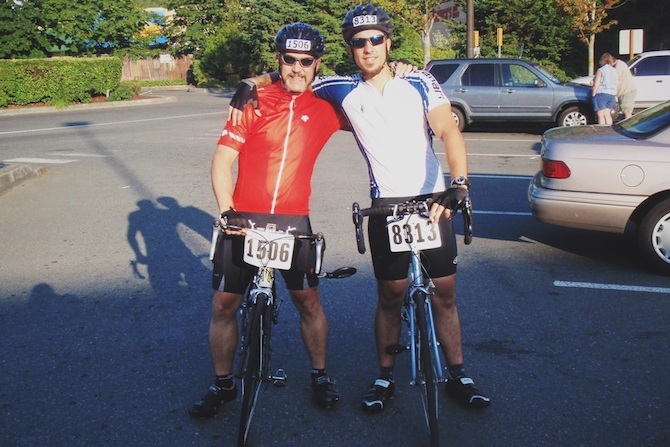 Looking back, so many trips were memorable but probably the most was our first Seattle to Portland (STP) race together. It was sort of the ride from hell. I developed terrible leg cramps early on, then got into an accident, followed by getting hit with a full can of some energy drink that flew from the passenger side of an old chevy. That was just day one. Day two was raining like a tropical storm as we slogged our way down the highway into the promise land, Portland. At the end of it all, we finished, together. It was an incredible experience and the hardships made it that much more sweet when we crossed the finish line.